Philomina joined StreetSquash in 2018. She graduated from Brooklyn College in 2012 with a B.A. in Early Childhood Education and Special Education, and went on to earn a Masters of School Counseling from Lehman College in 2018. 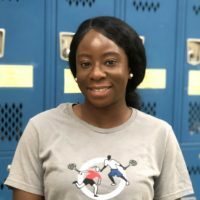 Philomina’s school counseling, coupled with her teaching experiences led her to the SteetSquash team in 2018.